Functional dependences of water conductivity of solution on level of its impurity, i.e. the salts dissolved in it are investigated in this article. The received dependences are intended for further application in algorithms of data processing of environmental monitoring systems of the surface and underground water constructed on the basis of geoelectric control methods. All supervision can be carried out automatically in real time when using this method without necessity of use of the special bulky chemical equipment. However, creation of the reliable and effective automated complexes for carrying out such monitoring is at a loss in connection with an insufficient well-conceived of establishment methods of direct quantitative link between an conductivity of water solution and mineralization size. Degree, factors and an error of the polynomial approximating considered dependences is defined. Keywords: environmental monitoring, gydrogeoecology, conductometry, geoelectric control, geodynamic object, conductivity. Belousov A.P., Gavich I.K., Lisenkov A.B., Popov E.V. Environmental Hydrogeology – M: IKC «Akademkniga», 2006. 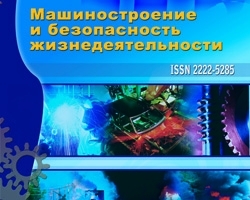 – 397 p.
Orekhov A.A., Dorofeev N.V. Geoelectric method of quality control water objects // Engineering industry and life safety, 2012, № 2. – P. 33-35. Orekhov A.A., Dorofeev N.V. The structure of the information processing systems of the electromagnetic geo-environmental monitoring geodynamic objects // Algorithms, methods and systems of data processing, 2012, № 2 (20). – P. 69-76. Dorofeev N.V., Identification of the functional dependence of the level of electrical conductivity of natural waters on the level of contamination, №3 (13) 2012, Orekhov A.A.